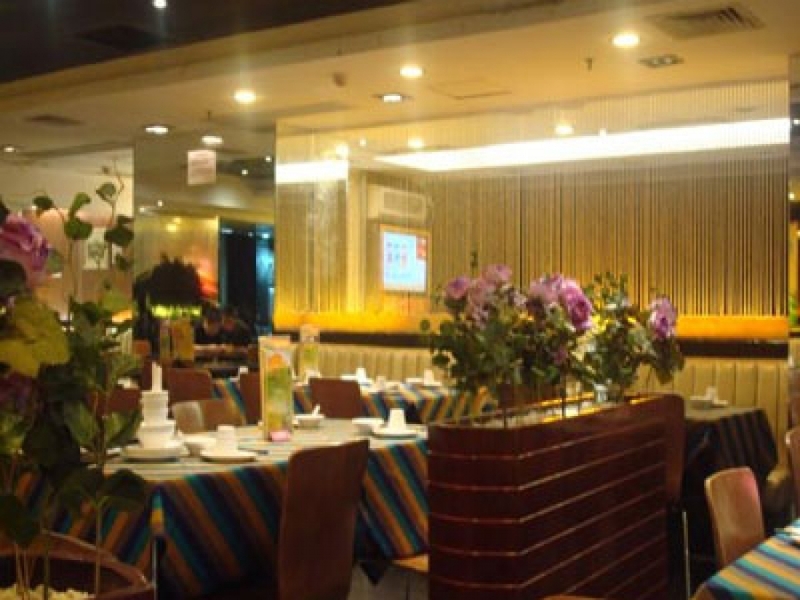 Though it's marketed as a primarily Vietnamese restaurant, Vietnamese Cuisine Inn, though it has a number of Vietnamese main and side dishes, has even more dishes from Singapore, Malaysia, China, Thailand and Indonesia. Furthermore, the style of the restaurant is little different than what one finds at any cafe-type restaurant in China and the quality and taste of the dishes tried were not spectacular, in spite of sometimes quite colorful names like stewed beef in goose liver sauce, fried chili and garlic crab, Vietnamese curry crab and sugar cane shrimp among them. Most items are priced between 15 and 40 RMB, and their fruit and coconut juice drinks are very good.